Chapter 3: Ethics and Aesthetics observes the sounds and sentiments of personhood among Malian artists (artistiya) through close and sustained analysis of musical performance and perception. 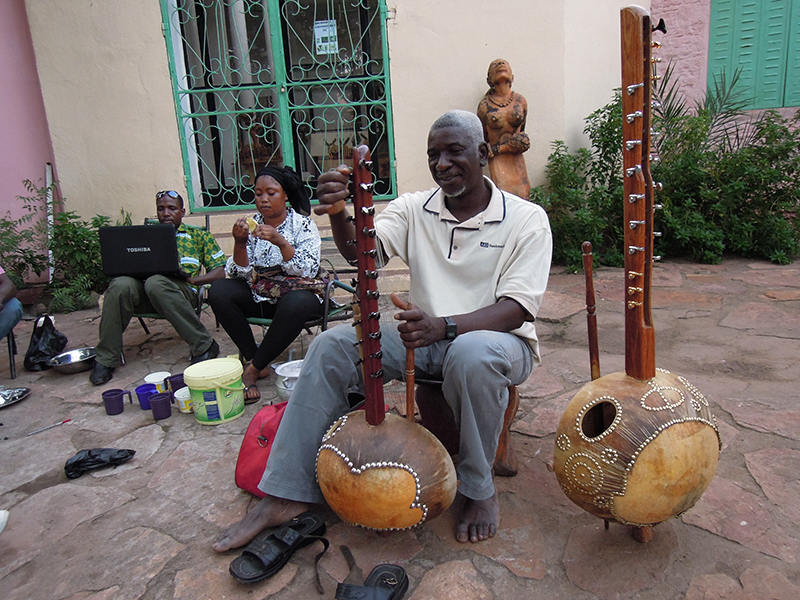 By listening in to a solo concert performance of a renowned kora virtuoso and an informal rehearsal of an up-and-coming Bamako band, this chapter describes how a culturally modeled musical aesthetics audibly signifies a dialectic social structure of collectively oriented morality and individually motivated ethics among artists and their audiences in Mali today. Mande aesthetic discourse employs metaphors of the body and senses to describe the character and feeling of musical sound. Can you think of other communities that employ embodied and sensuous discourse about music? Are they comparable to or different from the Mande case? What do the musical lives and works of Sidiki Diabaté and his son Toumani reveal about the morality of tradition and the ethics of innovation in the contemporary Mande world? How are musical aesthetics and practices gendered in Mande music? Looking comparatively at the chapter’s two case studies, think about the role masculine and feminine identities play in the expressions and professional aspirations of artists in places like Bamako.